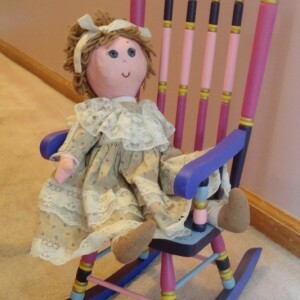 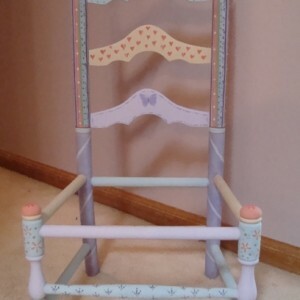 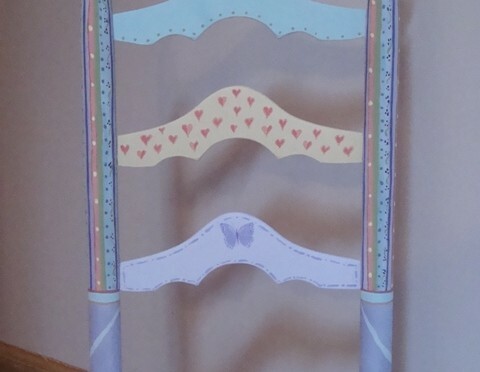 This little doll rocker is only 19 inches tall and 9 inches across the back. 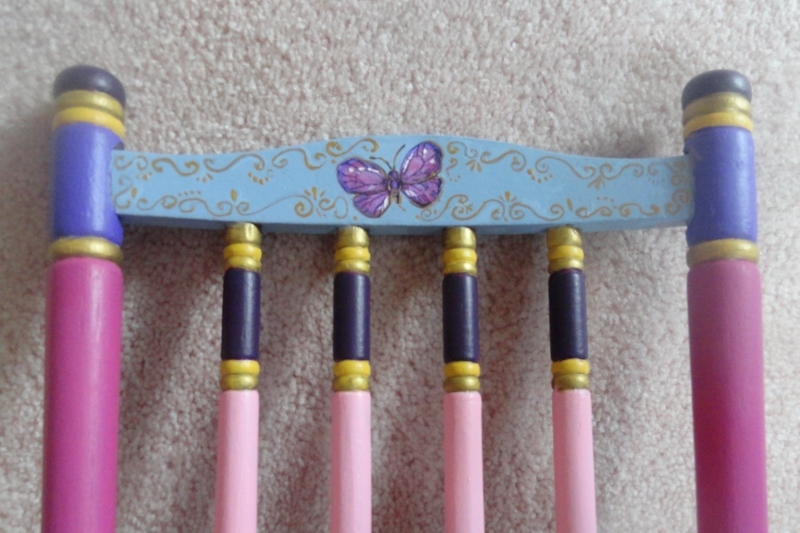 I painted it in what I think of as princess colors; bright pinks, purples and blues with gold highlights. 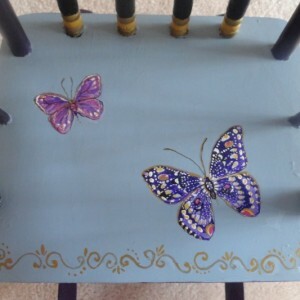 The seat and the seat back are painted with pretty, stylized butterflies and gold scrolls that match the little cushion which I made from my inspiration quilt fabric. 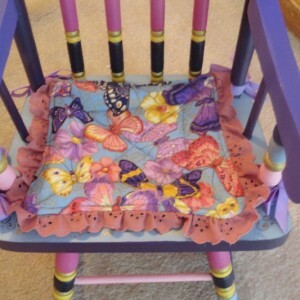 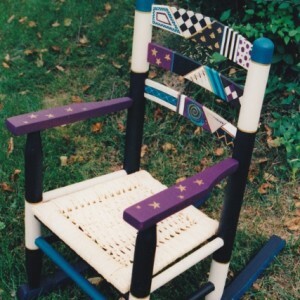 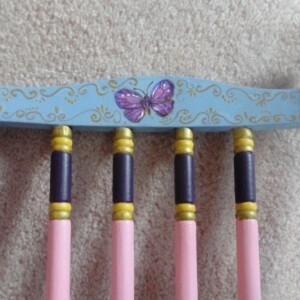 The cushion can be tied on the seat or up against the spindles if desired. 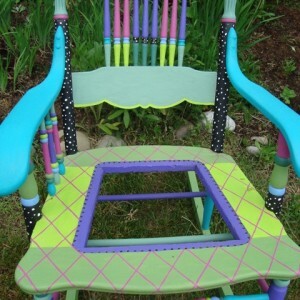 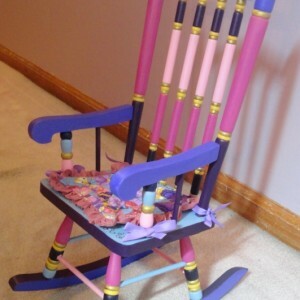 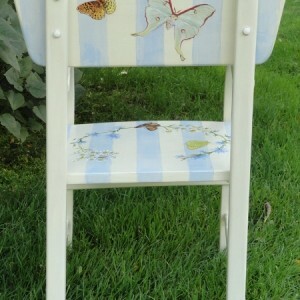 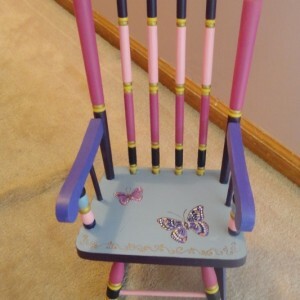 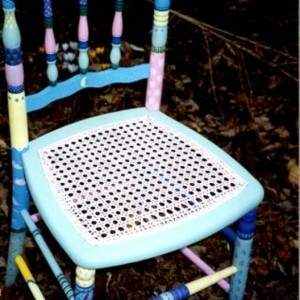 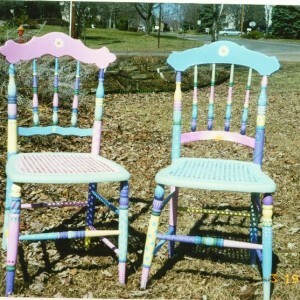 See how cute the chair looks with a little handmade doll seated on it? 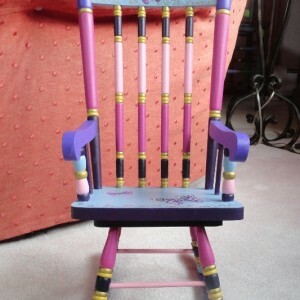 You can get a sense of the size of the rocker in the photo which shows it up against an easy chair. 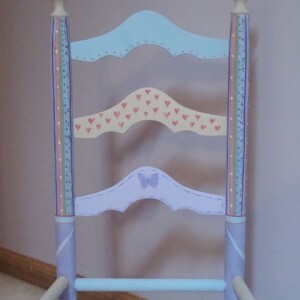 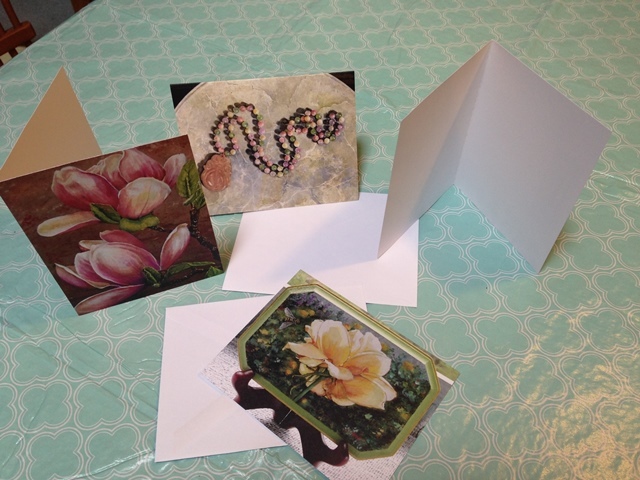 It is for sale @ $60 which includes shipping and handling. 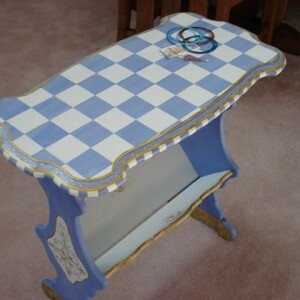 If you are interested in possibly purchasing of this piece or you want to know more about this piece Send me an email or leave a comment.